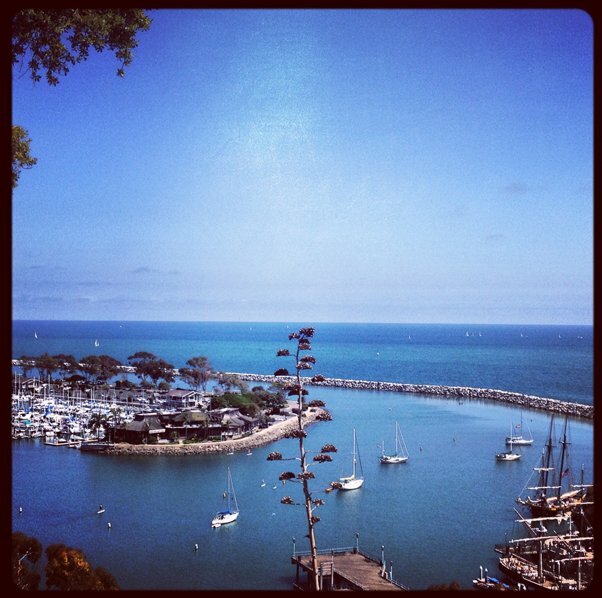 One block south of Pacific Coast Highway, situated on a scenic bluff overlooking the Dana Point harbor stands the Blue Lantern Inn. Like a seaside cottage this Bed and Breakfast is every bit inviting and peacefully serene. 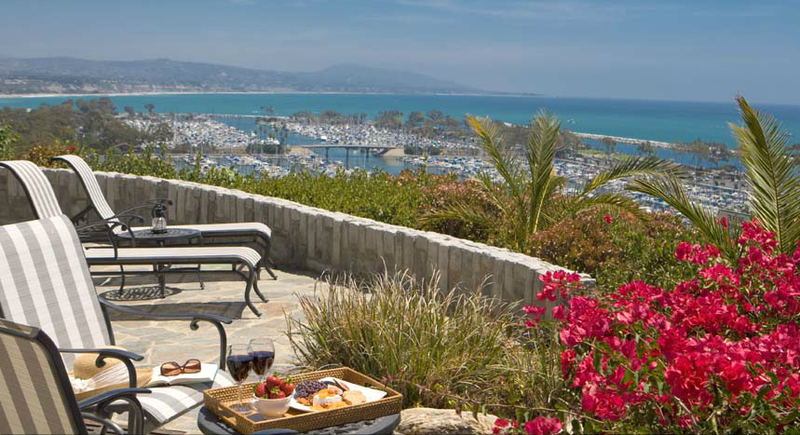 Combining modern day amenities with the personalized feel of a boutique hotel, the Dana Point Four Sister’s location, the Blue Lantern, is the perfect place to hideaway for a relaxing weekend away. From the moment you step foot inside you are instantly overtaken by the smell of fresh baked cookies and the warmth of a friendly welcome. Upon check-in the concierge will see to it that your spa treatments are scheduled, and any dining reservations are taken care of too. Offering a fully stocked library of games, books, and complimentary DVD rentals, staying at the Blue Lantern is kind of like a weekend at your favorite friend’s house. Your every need is met and exceeded when you stay at a Four Sister’s property. Evening wine, cheese, and a generous buffet of appetizers is available in the cozy dining area and can be enjoyed in one of the many inviting corners of the main floor, including along side a roaring stone fireplace. In the evening a turndown service adds a nice homey touch to your already luxurious bed, complete with goodnight chocolates on your goose-down pillow. Each room at this three-floor Inn is elegantly decorated in a beachside theme that begs you to take a trip down to the water and sit with your toes in the sand. 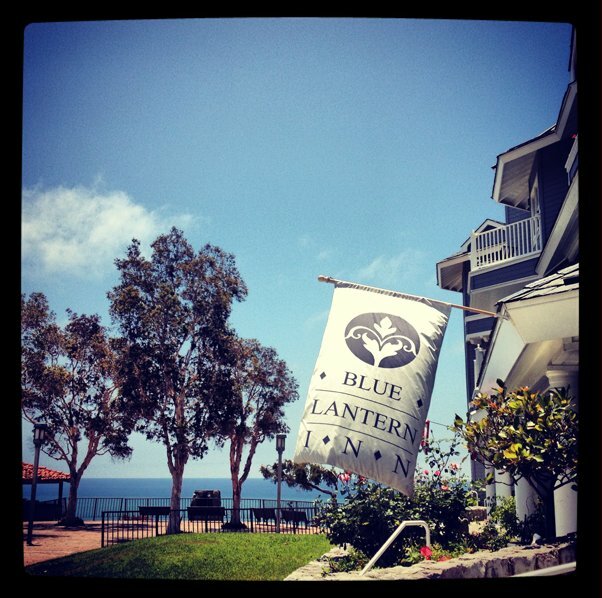 Should you wish to pedal your way around town, the Blue Lantern offers complimentary beach cruiser bicycle rentals. In the morning an awakening continental breakfast awaits in the dining room. Including homemade muffins, bagels, and pastries, hot entrees, fresh fruit, coffee, juice, and tea you’ll soon be on your way to enjoying the beautiful day.